Students are provided with the opportunity to earn a Utah Career Skills Certificate by achieving a passing score on their exam as well as successfully completing a course's performance requirements. 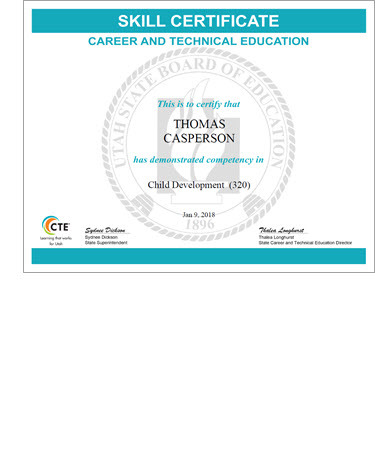 There are more than 150 CTE exams available within the Utah Career Skills Certificate program. To access the standards documents as well as corresponding performance standards (if available) please vist the Utah State Board of Education website. Copyright (c) 2018 Precision Exams. All rights reserved.